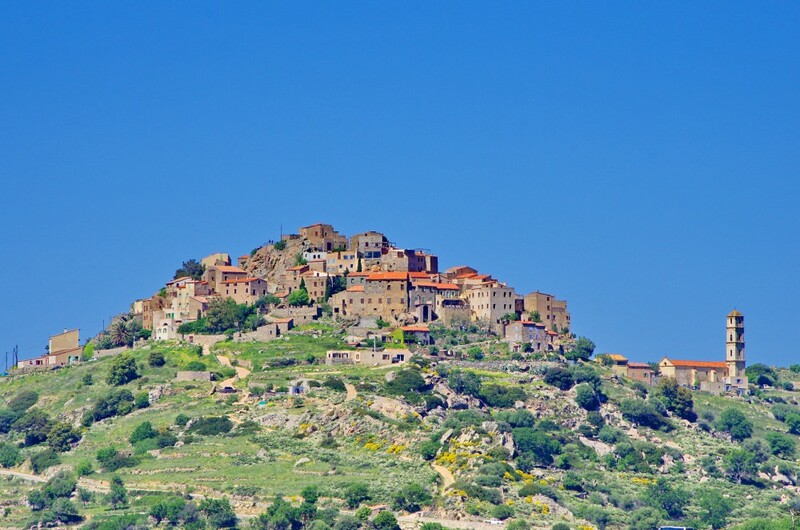 Exploring during a Corsican walking holiday the Balagne, called the garden of Corsica will offer you a better opportunity to enjoy the countryside, recharge your batteries and breathe in the aromas that are so characteristic of the Mediterranean scrubland (maquis) along the way. There is nothing better than leaving the car behind, taking a bit of exercise in the peace and quiet and gaining easier access to natural sites and panoramic viewpoints over the sea. Your rewards will be much greater: discovering authentic villages, meeting local craftsmen, experiencing a wealth of historical and architectural heritage, seeing forests, beaches and coves where a relaxing swim in the turquoise water will seem so inviting. A week of easy and accessible walks in Corsica that will guarantee you an unforgettable break: from west Balagne to the Agriates you will discover some of the most tranquil and beautiful sceneries. 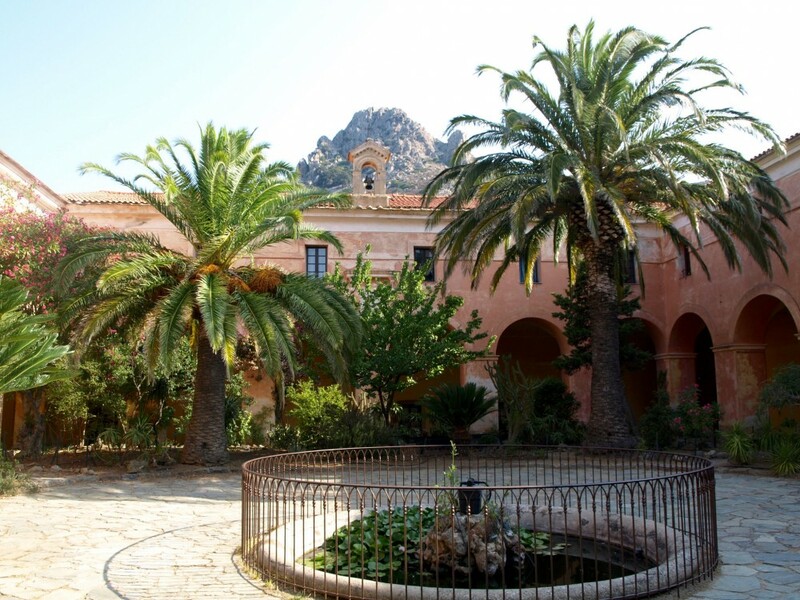 This day is dedicated to your arrival and settlement into your accommodation in Calvi. 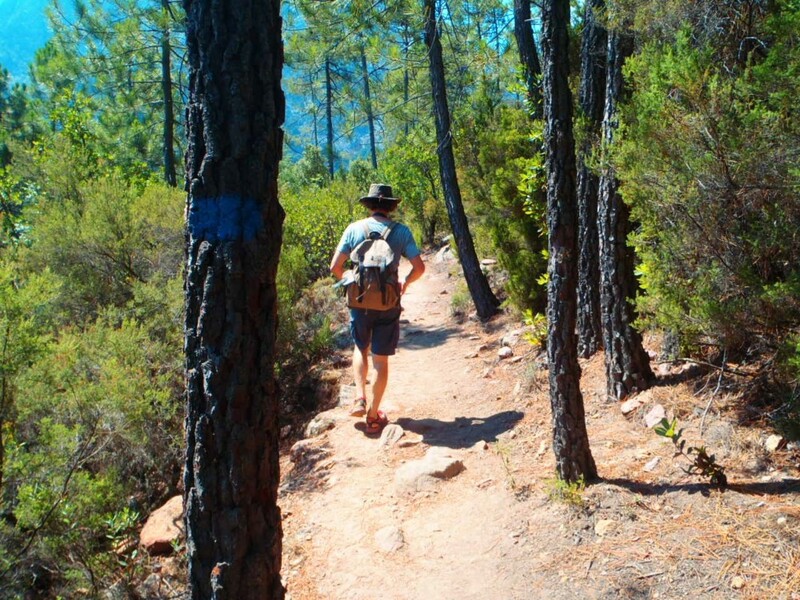 Your first walk takes place in the Bonifatu forest, south of Calvi. You will appreciate that freshness of the undergrowth of a beautiful forest under the shade of oaks, beeches and pines. You follow the trail that runs along the river Figarella. Natural pools called you to relax or an invigorating swim! You appreciate the panoramic landscapes of the surrounding high mountains. Luckily, you might spot the majestic flight of a bearded vulture, a golden eagle or closer to the Corsican nuthatch which skirts the Corsican pines. From Calvi, there is a coastal path that depicts the fantastic union between the stone and water worlds in a wilderness setting. 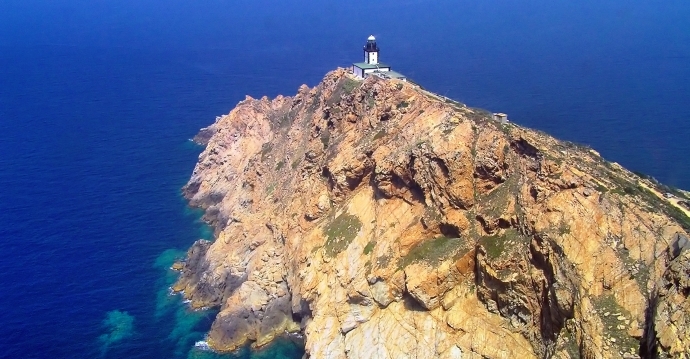 The peninsula of Revellata announces the majesty of the Corsican west coast and you follow paths among a colorful and endemic vegetation to the lighthouse, active since 1844. 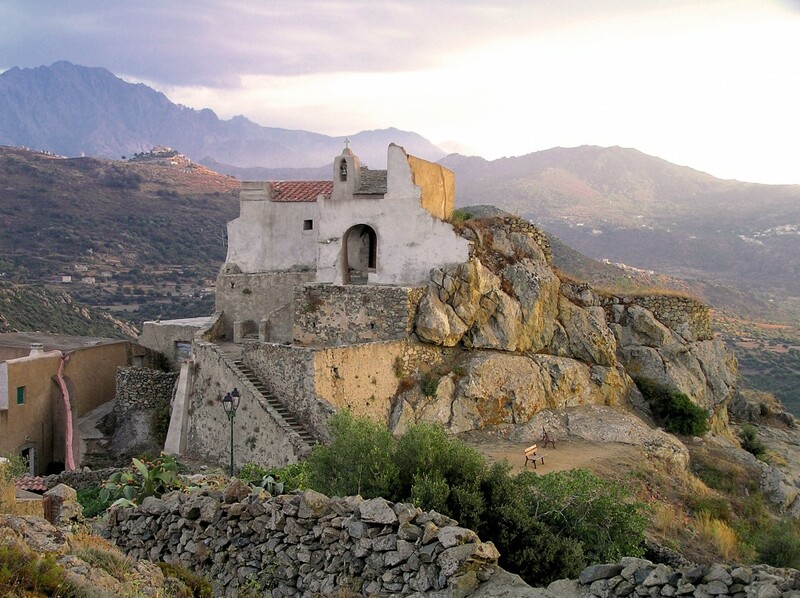 You enjoy beautiful views of the Bay of Calvi and some testimonials as a threshing floor, ruins of the home of Prince Bonaparte, and the Cave of seals tell you the past of a human or animal presence. The coves and Cala Alga call you to beautiful swimmings. From the village of Lumio clinging to the hill, the dry stone path leads you to a village where you are surrounded by the silence. Occi, perhaps a derivative of "Occhi" (translate eyes), is introduced to you by its ruined stone houses and the restored church of the Annunziata. This day promises to be very rewarding, it takes you to beautiful medieval villages of the hinterland. Nearby, the village of Corbara, in the style of an amphitheater, offers an important historical and religious heritage. You join the mountainous interior of the Eastern Balagne and discover the secrets of a formerly agropastoral area. From the village of Olmi Capella, with an impressive oak (trunk circumference of 8 meters ), a beautiful walking itinerary presents Genoese bridges, water mills, in a vegetation of conifers, chestnut, embellished with many rivers, where you can benefit from the natural pools of the Tartagine river. A last walk takes you to the east, near the Agriates. Early morning on beautiful paths, you walk in an unspoiled setting, among the prickly pear cactus and the mediterranean macchia, and discover the remains of human presence as sheepfolds and a cave house. You make your way in a very rich area dedicated to agriculture, livestock and hunting, formerly considered as the breadbasket of Corsica, and even the Republic of Genoa. You join the classified natural site of the Ostriconi, small river which flows into the sea. Perfect place to relax on the beach and appreciate the transparent waters with the dune of 60 hectares, the largest of Corsica. The rental car, the lunches, the dinners, the entrance fees( monuments or museums...), the parking fees, the drinks, the tips, travel insurance (on request), and personal expenses. Special note❕: To be able to fully enjoy this tour a good health and a good basic fitness level are required. You need a car for this tour to allow you to go the start point of each walking day by day. Security: Walkings may be cancelled due to bad weather conditions! Minimum walking equipment required: Hiking shoes or good running shoes, hat, rain gear, daybag, sunglasses.